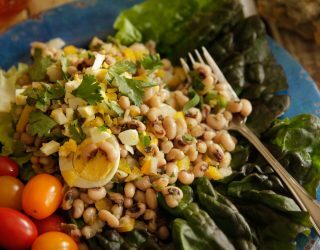 Blackeye peas are medium-sized, beige beans (in the field pea family) with black markings and a distinctive, delicate flavor all their own. While very popular in American Southern and soul food dishes, they are also consumed in India, Africa, Europe, Asia, and South America. 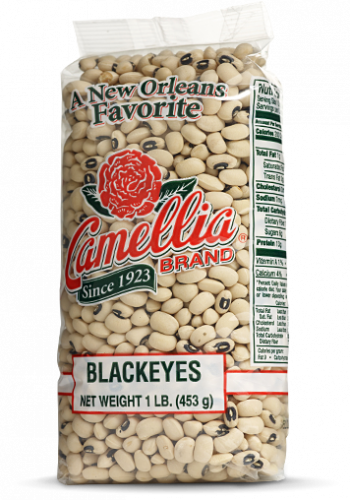 Like all of our beans, Camellia’s Blackeye Peas are non-GMO, gluten-free, and meet the “Hayward Standard” – the name our growers gave our bean quality standard – which exceeds the top USDA requirements. Try some today – we think you’ll taste the difference. 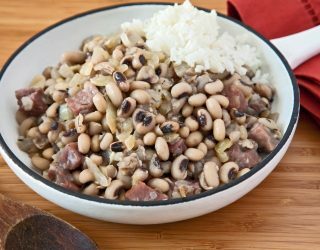 Blackeye peas and cabbage or other greens is a traditional New Year’s Day meal in the American South and elsewhere. 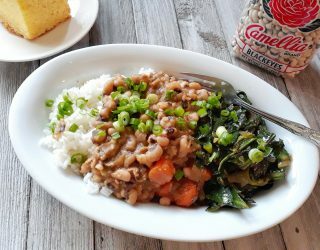 The blackeye peas swell up when cooked and are thought to symbolize coins, while the greens that typically accompany them are thought to symbolize dollar bills. The USDA recommends that everyone (including meat eaters!) eat beans and peas due to their highly nutritious content. To add flavor, use high-quality no-sodium stock or broth instead of water when cooking beans.